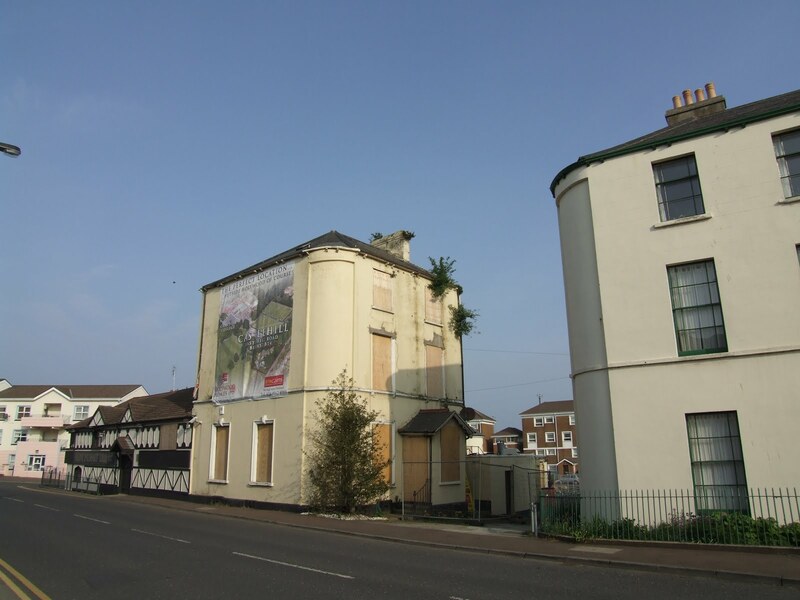 Last minute efforts are underway to save a well-known historic building on the gateway into Holywood which is being threatened with demolition due to fears of imminent collapse. Having previously campaigned to save the site at number 1 Stewarts Place I am angered the owner has let the situation get so out of hand, despite previous involvement by Department of the Environment Department, at my request. Late w/c 27 June I was both shocked and saddened to learn that an application for demolition has been made for Number 1 Stewart’s Place is an iconic building in the heart of Holywood. Listed in the 1970s, the building is the other part of the ‘Stewart’s Place pair’ and forms part of the Holywood Conservation Area, but unfortunately the property has been on the Built Heritage at Risk Northern Ireland Register for a number of years. It’s other half, No 3 Stewart’s Place was restored by Hearth Housing Association in 1993. Whilst the large cut in Grant Funding to restore listed buildings hasn’t helped this building, the owner must take responsibility for how badly it has fallen into disrepair. In 2011 I managed to get the Department for the Environment to threaten the owner with issuing of a Urgent Works Notice to repair the building but it now seems the emergency repairs effected in the face of this threat were merely cosmetic. Stewart’s Place is thought to have been built around 1840 by William Lowry, with numbers one and three forming a pair of three-storey stucco houses with rounded corners and were named after the first post-master of Holywood Hugh Stewart. An independent report commissioned by Ards and North Down Borough Council’s Planning Department has recently reported ‘the only viable option in this instance is the complete demolition of the building’, adding it was ‘in the interests of public safety’. 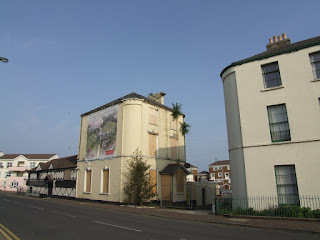 It is unacceptable that the owner has shirked responsibility of looking after this building, with external groups such as the Holywood Conservation Group previously providing their own funds to refresh the exterior via installation of trompe l’oeil feature windows. The report commissioned by Ards and North Down Council is stark reading and a sad indictment of how we value our Built Heritage in Northern Ireland. History has many examples of buildings left to fall into disrepair until demolition left as seemingly the only option. A clear difference of opinion has however emerged concerning whether demolition is the only option with other experts strongly disagreeing with the reports ultimate finding that demolition is the only solution. Whilst public safety is of paramount important I feel it’s vital we explore all avenues and ensure all evidence has been considered before a decision is made and the wrecking ball appears. Once demolished this building will be lost forever. An urgent meeting is therefore being sought with Planning Department representatives before the a decision is made on the demolition application which could be as early as next week. The views of relevant bodies such as the Ulster Architectural Heritage Society, Hearth and Holywood Conservation Group must be given due consideration. The story of 1 Stewart’s Place must act as wake up call for government to take firmer action against developers who let building fall into ruins and improve Grant Support to enable restoration of historic buildings at risk.